It’s 2018 and Madrid has tons of exciting things to do this year that you just can’t miss! From traditional Spanish events, to international festivals, the buzzing capital of Spain has something for everyone. Get these dates for Madrid 2018 on your calendar now! Check out what you shouldn’t miss in Madrid 2018 – Part 2 HERE! Did you know that in Spain, it’s not Santa that brings presents for children, it’s actually the three wise men and they arrive on the night of January 5th, celebrating el Día de los Reyes (the Epiphany) on the 6th! Every year on 5th January, there is a huge parade in Madrid with floats, music and lots of excitement! It’s one of the most traditional Spanish celebrations. 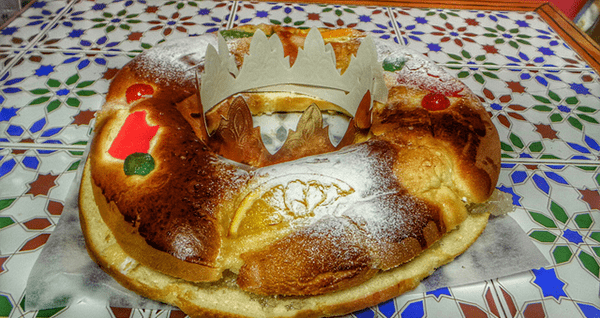 Something very typical in January is to eat “Roscón de Reyes”, which is a large, round, donut-like cake that is decorated with sweets and has a prize hidden inside. The person that gets the piece with the prize in is the winner (and has to pay for the roscón)! With over 30 artists chosen from around the world, the Magical Circus comes to Madrid full of fairies, wonder and magic! Until the end of January you can see this show at Ifema. If you’re an international food lover, then you cannot miss the Gastrofestival that will hit Madrid in February. This year is its 9th edition and you’ll be able to enjoy tapas and cocktails from Spain and around the world. There will also be talk shows and workshops around the city. Check out this stunning exhibition at the Centro Cultural Conde Duque if you love art and also love Madrid! hadrid has changed a lot over the years, from the 19th century to the modern day. There are paintings from Rafael Botí, Delhy Tejero, Agustín Redondela, Agustín Hernández and Fermín Santos, among others. Perfect for any Madrid-loving culture-vultures! The Spanish artist Laura Millán presents her new project in the hotel 7 Islas (calle Valverde). For this project she uses day to day objects to present day to day events in minature. Millán gives us an insight into four neighborhoods and includes touches of fantasy and realism in this unique exhibition. You can have more information here. Easter in Spain is like nowhere else in the world. There are plenty of activities unique to Spain, like processions and imagery that are not to be missed. Check out more information here. If you are an art and architecture enthusiast you won’t want to miss this exposition. You will see the evolution of the work of famous Spanish architect and artist, Ventura Rodriguez, who designed the fountains of Cibeles, Apolo and Neptuno. This exposition at the Museo de la Real Academia de Bellas Artes de San Fernando takes place 300 years since his birth and presents a number of original pieces. You have more information here. We all know Spain is famous for its cuisine and especially its delicious pastries, and April cannot go by without trying “torrijas”. They are similar to French toast and typically eaten throughout April. We recommend you try them at La Casa de las Torrijas. This will be the first exposition in Spain dedicated to the Afro-American history of performance. It will analyze the social connotations and influences of Voguing – a dance form that has its roots deep in the history of the Black LGTB community. For those interested in fashion and art, the Museo Thyssen-Bornemisza is hosting an exhibition dedicated to the influence of fashion in the work of Sorolla. 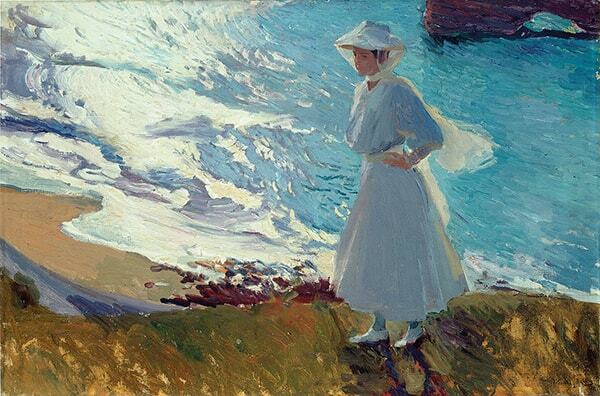 A huge lover of fashion, Joaquin Sorolla catalogues in his paintings the changes in styles and fashions in the turn of the 20th century. Cubism was the first abstract art style and is one of the most influential art styles of the early 20th century, created by Pablo Picasso and George Braque. In this exhibition, you’ll see the journey from its very beginning and it contains around 70 pieces from a variety of artists. The expositions Centre of “Arte canal” is the first stop for an exposition that exhibits more than 600 objects and personal effects of the prisoners of the concentration camp, Auschwitz. You can access this poignant collection during the first six months of 2018 for free. One not to miss. 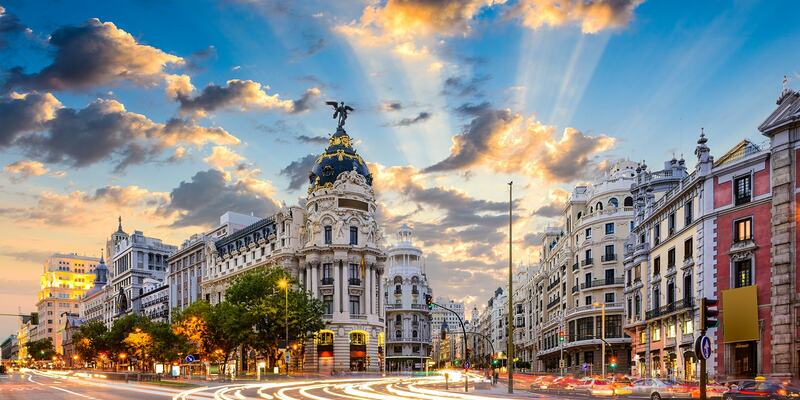 Don’t miss out on an action-packed year in Madrid with TtMadrid. With our TEFL courses, you can live, study and work in the Spanish capital, even if you aren’t from the EU. To find out how, contact Helen@lets.education and start your Spanish adventure.